After years of watching illegally obtained TV shows, I still remember the excitement I felt after the announcement of Hulu – a website to stream current TV seasons for free. No more downloading shows (along with viruses), no more recording shows on VHS tapes, and no more wishing that TiVo existed in the Midwest. It was an event that would change the way we watched TV forever. And how many of us have time to watch entire shows at our computer? Sure we can hook up our computers to our TVs, but the quality is never as good, and without a mouse the interactive ads just seem silly. The plot thickens when looking at Hulu’s owners – Disney-ABC Television Group at 32 percent, Fox Broadcasting Company with 36 percent, and NBC Universal Television Group at 32 percent. As the owners of programs being featured, these major network companies are re-earning from their content. Because they own the rights, it would be easy for them to post shows for free. Web traffic would be through the roof and they’d make a killing on ads – after all, they show tons of them. But instead of offering up this incentive, they charge a monthly fee. That means if you already pay a cable bill, you have to pay twice to see the same content on the go. Three if you just happened to forget to DVR a show; how many times can we pay for the same access? It’s likely we are years away from this universal one-fee-meets all access, but we can dream, right? 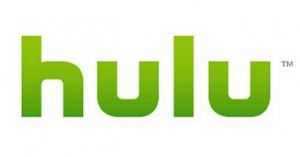 Maybe with enough opposition, Hulu can return to its former glory, which is to say free. After all, if Netflix taught us anything, it’s that there’s nothing a group of angry consumers can’t accomplish. Complain on, folks.